anyone familiar with this product? Yes, it's the eFun D . R Martin is an authorized dealer and distributor for eFun in the US. I for one am excited that he's there. It makes it easier to get parts and help for this bike. Seems like a good guy. I'm a newbie on discussion forums but passionate about electric motor scooters. I just test rode this EVD scooter this afternoon at Rmartin and it seems to be a solid ride. I only rode it about 20 minutes and just around the residential area near Rmartin. My experience with electric scooters is confined to an EGo and an Oxygen Lepton and the EVD/eFun D is in a totally different class. It feels more like a motorcycle i.e. heavier and more stable. The residential streets I rode on today were flat and the EVD accelerated smartly to 30mph and cruised very smoothly - once I got going. The only complaint I have with this scooter in this initial ride is that the throttle is very sensitive; it took me a good dozen stops and starts to finally not feel like I was going to get thrown off the back of the bike. I plan a longer test ride within the next few days in order to test the hill climbing ability of the EVD which is very important to me (more so than top end speed thus the reason I have an Oxygen). I'll provide another post after this test ride for those are interested. I had a chance to give the RMartin EVD a good run this afternoon. On relatively level roads and smaller hills, the EVD is a great scooter. The acceleration is pretty amazing on city streets - I easily kept up with cars from traffic light to traffic light. Cruising between 35 and 40mph seemed effortless for the EVD. It felt firm and stable. The rear shocks worked well to smooth out the occasional irregularities in the road. The real test for me was going up and down serious hills. Early on in the road test is a hill that I would estimate at approximately 30-35 degrees with a fairly hard right turn leading to it so I couldn't really get a running start to begin the climb. Glancing down at the speedometer, I saw I was entering the hill at about 25 mph and by the time I was up about 3/4 of the hill, my speed was down to about 15 mph and held steady at that speed to the top. Climbing smaller hills in the range of 20-30 degrees, the EVD seemed to find a sweet spot of about 20mph. Going down the hills was fun and the EVD's disk brakes worked very well. One small but thoughtful feature I really liked about the EVD is the turn signal beep when it's turned on. It reminded me turn off the signal after each turn. I can't count the number of times I've forgotten to turn the signal off on my current scooter. The seat is also very comfortable. The build quality is very good as far as I can tell. As I indicated in my preliminary review, my most important criteria in selecting a scooter is its hill climbing ability. I would buy the EVD in a heartbeat if I didn't live in the hilly part of town. But I would feel much better (safer) if the scooter can give me about 5 more mph in ascending the hills in my neighborhood. Randy Martin, who has really been very helpful and accommodating in my testing has agreed to let me test the EVD+, which has a motor that has even more torque. If that does give me the extra push I'm looking for, I will be a happy camper. I'll report on that test ride hopefully within a week, weather permitting. Disclaimer: I'm a rank amateur in the electric scooter field so everything in this review should be taken with that in mind. I've tried my best to be as accurate as I can in my estimate of speed (using only the EVD's speedometer) and steepness of hills. Other opinions I've expressed are strictly personal. Besides the higher torque motor, lower speed, you may want to try the li-ion version. 100 pounds lighter. Thanks, DanCar for the suggestion of the li-ion version. The lighter weight probably would be a big help in hill climbing and Randy Martin suggested it also but the show stopper there is the extra $1K over the SLA batteries. My needs for a scooter just can't justify paying that much extra. I did test the EVD+, the higher torque version yesterday. I rode it on the exact same route with very similar weather conditions. Unfortunately, I did not see any noticeable increase in performance on the hills. I'll have to wait until something else comes along. I must complement Randy Martin again on his helpfulness and willingness to allow me to assess the scooters for myself. I would feel very confident in buying from him. Just as a follow-up to my earlier posts about my test rides of the EVD and EVD+ and to satisfy my own curiosity after both Randy Martin and DanCar suggested it, I did finally test ride the lithium battery version of this scooter. This version was a significant improvement over the SLA battery equiped scooter. Again on the same test route, I was able to get to about 20 mph going up the steepest hill. This lithium EVD was able to climb the other, less steep hills with no problems hitting between 25-30 mph consistently over the top. On flat city streets, I was able to keep up with traffic easily managing a smooth 45 mph for one stretch between traffic lights. I felt the scooter truly had more speed to give if I had needed it. This scooter will fit the needs of anyone looking for an urban commuter. I love my EVD. It's pretty awesome to get an electric moped with 50 mph top speed and 30+ mile range for under $5k (lithium) or $4k (lead acid). It's lots of fun to ride and can even seat 2. 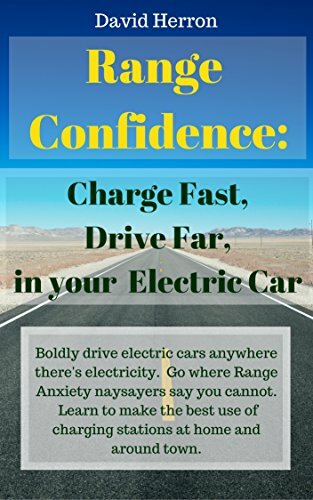 I've had a couple problems with it, the big one being that my range dropped by about 60% after about a year and 4500 miles on the lead acid batteries, and had to replace them. Randall Martin (company owner) told me they're supposed to last 2-3 years. One problem may have been overcharging, because I always kept them plugged in when not in use. This time around I'm turning the charger off once the batteries have been fully charged. At one point I also had an electronics problem where the scooter thought the batteries were constantly engaged, and the throttle won't work when the brakes are engaged. But a technician came out and apparently it was a pretty easy fix. Another minor issue is that sometimes the power output is low when the EVD is turned on, as though it were in an energy conserving range-extended mode. But turning it off and back on once or twice always solves that problem. One nice aspect is that Randall Martin is easy to contact via email, and usually very quick to send out parts when they're ordered. I was able to replace the batteries myself too, which I was happy about. Replacement lead acid batteries cost $125 apiece, and the EVD has 5 altogether. Overall I'm really happy with the scooter. Charging it is super cheap - about 0.1 kWh per mile, or about 1 cent per mile. Lots of fun to ride. People are always asking me about it too. More user review can be found here. At one point I also had an electronics problem where the scooter acted as though the brakes were constantly engaged, and the throttle won't work when the brakes are engaged. But a technician came out and apparently it was a pretty easy fix. Another minor issue is that sometimes the power output is low when the EVD is turned on, as though it were in an energy conserving range-extended mode. But turning it off and back on once or twice always solves that problem. Overall I'm really happy with the scooter. Charging it is super cheap - about 0.1 kWh per mile, or about 1 cent per mile. Lots of fun to ride. People are always asking me about it too. More user reviews can be found here. of course the throttle doesn't work when brake is engaged. Because if the throttle keep working when you are braking the scooter. Then big currency keep going into the motor but it can not be changed to physical rotate cos you are braking. Then it turn to heat, then motor blow. You can find there is small touch point at the end of the lever of the brake. That is the switch turning on and off when you braking or stop brake. hi guys, does any one know where to find parts for Rmartin scooter? like brakes etc. someone sell it not too far from me aforable price, I was searching online for parts but can not see anything.